We'll e-mail you our promotional discount flier and more information on getting started with ultrasound! Choose 90 days with no payments, or your first six months at only $99/month! Family owned and operated for over 25 years, Fisher Biomedical specializes in consulting with clients on diagnostic ultrasound solutions. Our purpose is not to simply get you an ultrasound — but to get you the right ultrasound, and to make sure you make the most of it in your breeding operation. Very often we will actually talk our clients into buying less-expensive (but much more appropriate) systems, because we know how challenging it can be for many breeders to afford an ultrasound, and we know many competitors are trying to sell systems twice as advanced (and twice as expensive) as anything the average breeder could ever possibly need. And unlike other ultrasound dealers simply looking to turn sales, we at Fisher Biomedical take it as our duty to help you become as successful (and as profitable) as possible, long after the sale is completed. Complete package including accessories, supplies, and training materials! Everything you need to get started immediately. Exclusive training DVD's, custom notes, and more. Easy financing available: 3 months no payment, then as low as about $150/month. 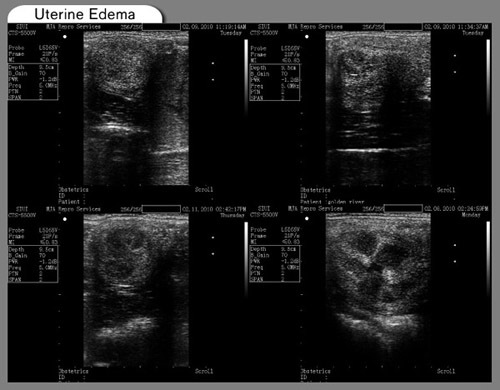 We specialize in Equine Reproductive Ultrasound, and your success is our success. Call 800-839-0722 to speak with an equine repro ultrasound specialist today! * Note: You may of course also simply purchase the ultrasound alone, without our full equine repro package, at a lower price. You have the option of either buying the ultrasound alone at one price, or buying the full package at a higher price, or even of picking and choosing among what you would like to add or take away. Just give us a call and we can tailor a package precisely to your needs. Check Out Our New Training Site! More information on the new website at the bottom of this page! Why Incorporate Ultrasound Into Your Breeding Operation? Very simple: Perfection ... according to plan ... every single time. Should You Be Doing Your Own Ultrasound Work? This is actually rather easy to figure out, and comes down to one question: How many mares are you currently breeding? You should seriously be considering it, since chances are, if you add up your vet bills, and if you look at the "cost" of a couple missed conceptions each season, or, if you are doing AI, the very real cost of spending money on extra inseminations that you would not need if you were conducting your own accurate ultrasound exams exactly when necessary — if you add all of that up, you will probably find that yearly it amounts to the cost of buying your own ultrasound. No question about it. You should absolutely have your own ultrasound, and once you get it, and see the results after just one season, you will be kicking yourself for not getting one years ago. If you have about fifteen mares breeding every season, you are easily spending the cost of the ultrasound every year on your vet bills alone. You should be calling us right now. Seriously. Now. 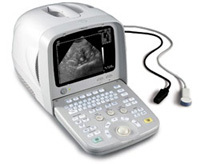 The original CTS-200V was one of our best-selling ultrasounds for years. It only had a 6" screen, and a single-frequency 5 MHz probe. It didn't have cineloop, or image storage, or anything like that. But it still sold very well, because it was a good little system, pulled a nice enough image, and was affordable. This year saw the arrival of its much flashier replacement, the CTS-3300V+. At only a few hundred dollars more, the CTS-3300V+ is without question the best equine repro ultrasound we have ever been able to offer anywhere remotely near its price class. The CTS-3300V+ has a large 10" screen, a powerful multi-frequency 5 - 10 MHz equine probe, a robust cineloop (you are going to love this) that allows you to freeze an image and then back up through the captured frames to where your image was at its best, internal image storage as well as a USB drive for moving images to your computer, and all in a lightweight portable system. And it is easy to operate. With our custom notes and training DVD, showing you the optimal work flow you will want to follow when dialing in images, you will be able to master this system very, very quickly. You are probably worried about whether you will be able to figure out the ultrasound, and whether you will understand what it is you are looking at, and whether you will actually be able to achieve results. Stop worrying. We have worked with dozens of beginning breeders with no ultrasound experience whatsoever, and while they were all apprehensive at first, with our training package they were able to get up and running right away (most on the same day they received their ultrasound), were feeling comfortable with it by the end of the first week, and were quite capable within that first month. By the end of your first season, you are going to feel like an expert. For one, what you are looking for isn't that hard to find or see on the ultrasound. It is pretty easy to find, and extremely easy to measure and annotate and save. For another, you are going to have our training material, you are going to have access to all of our future training material, you are going to have our ongoing support. We are going to make you successful at this. What would it feel like to go into a breeding season, confident that you are going to capably achieve 100% conception rates among all your mares, safetly, efficiently, professionally? What would that mean to your earnings? What would having your own ultrasound save you every year, not only in vet bills but also in simple peace of mind? Much of the introductory material features Dr. Jim Kubiak, one of the leading trainers of equine reproduction in the United States and Canada for many, many years. His style of teaching is down-to-earth, and he is easy to learn from, easy to understand. Everyone we have ever known to have gone through his training has come away excited with what they've learned and thrilled with the programs. 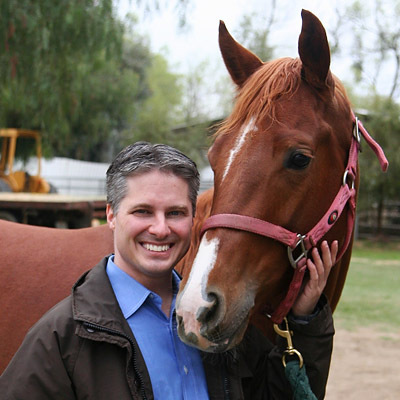 We enlisted Dr. Kubiak to identify the most Frequently Asked Questions his clients over the years have had concerning equine reproductive ultrasound, and we are recorded his answers. This, in combination with a training video series presented by Dr. Kubiak, and the even more advanced material provided by Dr. Mark Arns of the University of Arizona, will have you up and running with your ultrasound the first few days after you receive it. Wondering what's different between the CTS-3300V and the CTS-5500V? 1.) The CTS-5500V has a faster processor, so it gives you a few extra things you can do to improve your images, and in general the images are a bit nicer. Not dramatically nicer, but certainly nicer. 2.) The CTS-3300V has either a 50mm or a 56mm probe, whereas the CTS-5500V has either a 50mm or a 65mm probe. That longer probe on the CTS-5500V can be a nice advantage when working with larger breeds of horses (where the follicle sizes can prove larger). 3.) The CTS-3300V has a foot/hand-switch on a cord, whereas the CTS-5500V has a remote foot/hand-switch to freeze images. 4.) The CTS-3300V has special software (Windows-only) for moving your saved images to your computer. You have to view the images with the software initially, and then you can re-save the images as .bmp files. The CTS-5500V, on the other hand, can save directly to .jpg image files straight off the ultrasound, which can be immediately viewed on any computer. It can also be set to automatically organize your images for you, saving you some additional time. Those are the four main differences. If you're on a tight budget, I'd probably stay with the CTS-3300V. It will do everything you need. But if you can swing the extra thousand, you'll certainly be happier with the CTS-5500V over the long haul. You'll have a nicer image, more flexibility, and faster image-processing if you want to save your images through the course of a season. So CTS-3300V or CTS-5500V ... pair it with our Equine Repro Package and you're ready to go. Let's get you started! Call Shawn today at 800-839-0722!